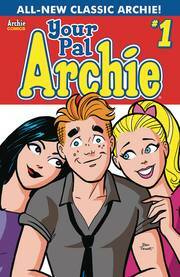 Classic-style Archie makes his return in this all-new, all-ages comic from Ty Templeton and Dan Parent! Issue #1 features one of five connecting variant covers by Les McClaine. Collect them all to create one giant image of Pop's Chock'lit Shop!